Five of the largest U.S. publishers objected to tough new restrictions sought by the U.S. government against Apple Inc for illegally conspiring to raise e-book prices. In a motion filed on Wednesday in U.S. district court in Manhattan, the publishers said a proposed final order in the case would effectively prevent Apple from entering agreements that limit its ability to discount books. The publishers said provisions proposed by the U.S. Justice Department would instead punish the publishers, which had already reached settlements with the federal government and dozens of states, paying $166 million to benefit consumers. “Despite achieving their stated goal of returning price competition, plaintiffs now seek to improperly impose additional, unwarranted restrictions on the settling defendants, thereby depriving each publisher of the benefit of its bargain with plaintiffs,” the publishers wrote. The motion came ahead of a Friday hearing on whether the court should adopt remedies proposed by the Justice Department and 33 U.S. states and territories after a ruling last month by U.S. District Judge Denise Cote that Apple conspired with the publishers. The Justice Department accused Apple of conspiring to undercut Amazon.com Inc’s e-book dominance, causing some e-book prices to rise to $12.99 or $14.99 from the $9.99 that the online retailer charged. Amazon once had a 90 percent market share. Following Cote’s ruling, the government asked that she require Apple to end contracts with the five publishers and be prevented for five years from entering contracts that the Justice Department says would restrict Apple from competing on price. Apple would also be forced to hire an internal antitrust compliance officer and employ a court-appointed external monitor. But objections have now been posed by the publishers, which include Lagardere SCA’s Hachette Book Group Inc, News Corp’s HarperCollins Publishers LLC, Penguin Random House LLC, CBS Corp’s Simon & Schuster Inc and Verlagsgruppe Georg von Holtzbrinck GmbH’s Macmillan. 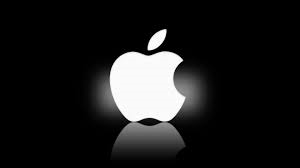 In their motion, the publishers said the settlement would effectively eliminate Apple’s ability to enter agreements allowing for discounts by eliminating for five years its use of so-called agency agreements, in which publishers set prices and Apple gets a commission. As a result, the publishers say the proposals don’t impose any limitation on Apple’s pricing behavior and instead “effectively punish” publishers by preventing them from entering into agency agreements with the iPad manufacturer. As a result, the publishers say the Justice Department’s proposal conflicts with their own settlements with the government, which allowed them, with certain limitations, to enter into agency deals with retailers. A spokesman for Apple declined comment, while representatives for the Justice Department did not immediately respond to requests for comment. The case is U.S. v. Apple Inc et al, U.S. District Court, Southern District of New York, No. 12-02826.